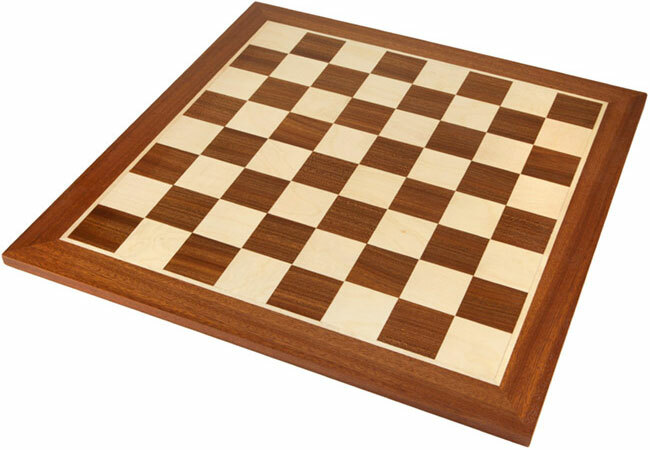 A nineteen inch veneer chess board with fine quality inlays. 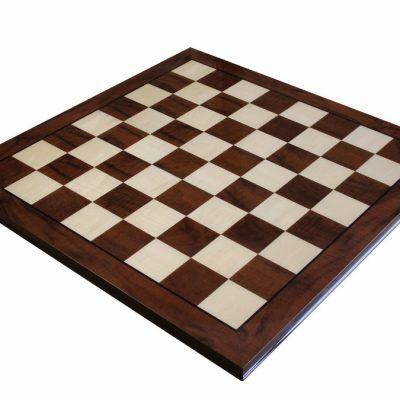 A classic design that is available in most chess outlets, our version however has been made in Europe to a very high standard and represents superb value for money for such a good quality wooden chess board. Green felt feet on the base protect your table tops. This particular board is clear of any notation which results in a clean contemporary look. 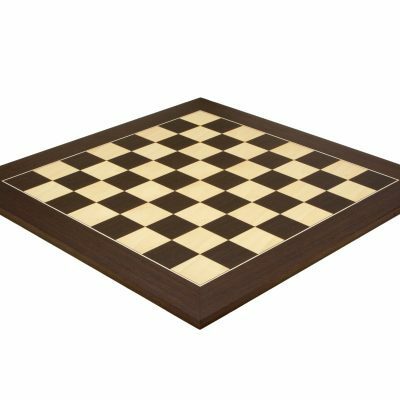 A heavy board with a solid feel, and very well finished. Suitable for playing pieces with king heights of 3.5 inches (89 mm) or up to 3.75 inches as a maximum. 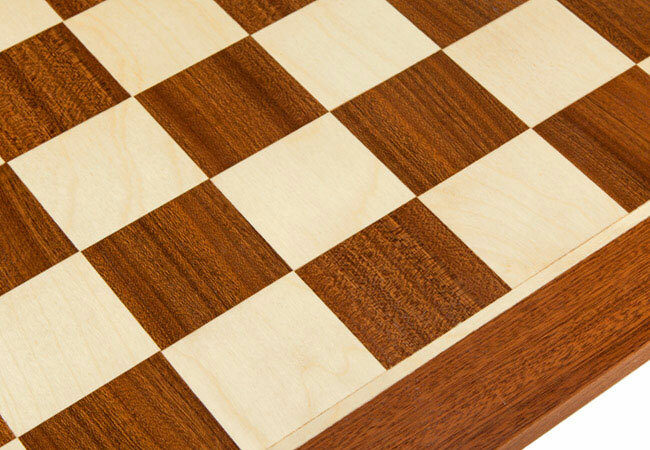 The design of this chess board is something of a classic, it is the perfect complement to Staunton Chessmen. Clean and basic, it’s the design you’ve seen for years, being used in famous tournaments. 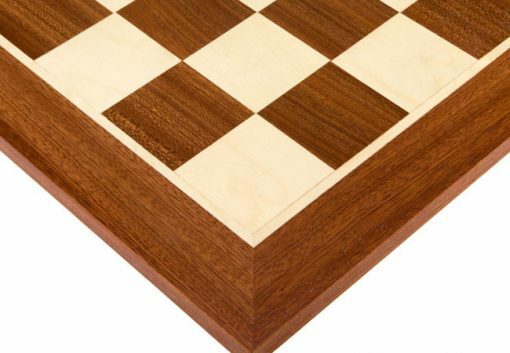 The reason this board has been used so regularly is that it complements so many different styles of pieces. 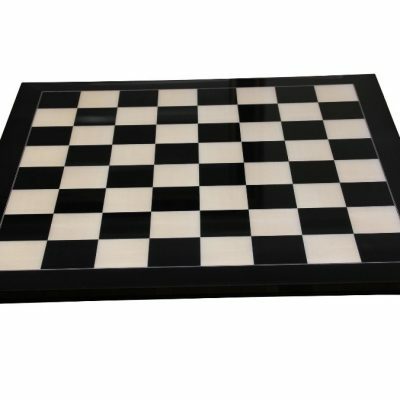 It works well with brown wooden chessmen but looks equally at home with black ebony or ebonised ones.